At Kostelac Grease Service, we offer a variety of containers to help with your grease recycling needs. We work one-on-one with our customers and help customize each location’s setup. Give us a call today and learn how we can meet and exceed your grease collection expectations. We offer three sizes of outside containers to serve our customer’s individual needs. We also offer wheels for our outside tanks to help with mobility and cleaning the area. We deodorize the tanks as needed. The tanks come with a lockable theft-proof lid to help deter thieves. We can customize each tank based on our client’s request. Grease Caddies are a safe and easy way to transport hot cooking oil to your outside container. The caddies help to eliminate the chance of hot cooking oil burns or spills. Once placed under the drain of the fryer, used oil can be emptied into the caddie and wheeled out to your outside grease container. The caddie attaches to the lid of the container, thereby allowing a single employee the ability to easily empty the grease. These caddies can be easily stored. 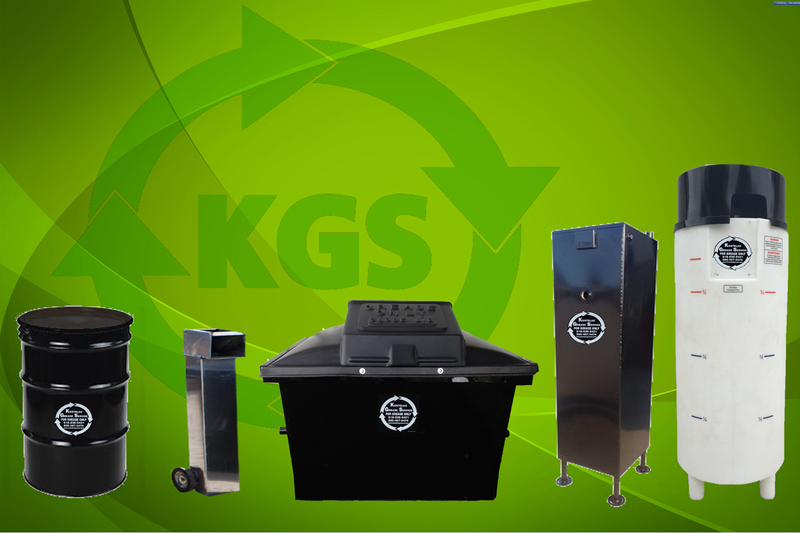 At Kostelac Grease, we offer multiple inside collection systems to ensure a safe, efficient, and hassle-free collection. The inside grease containers are directly connected to your kitchen fryer eliminating any used oil mess. You no longer have to worry about accidents with hot cooking oil. Our customer’s also benefit from higher yields using these systems because their used cooking oil is already filtered upon disposal. These systems eliminate the need for an outside tank. Our inside grease containers are also a great way to eliminate any theft associated with your used cooking oil. Call us today and learn how our state of the art systems can increase your used oil reimbursement. 55-gallon drums are the oldest form of a grease collection container. Although they are not typically used today, KGS can still offer barrel services in special situations. Barrels are only used in locations where full size collection trucks cannot maneuver or if the customer is extremely limited on container space.